Have the need to use a web browser while in your vehicle? Neither do I. 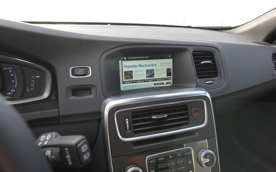 This is a new addition to the ever-expanding infotainment system in cars. Sure, we love the music apps and voice-to-text, but now manufacturers are attempting to add browsers to your system. Who knows, maybe you need to Google something. But, why in your car? Can’t we just leave it to our phones? I’m sure it would be quicker than using the clunky infotainment system keyboards, anyway. The web browser is at your service when parked – we wouldn’t want any distractions while driving. Then you are able to check your email, calender, or even read the news. Your iPhone or Android device is also able to sync with the system. What I’m still trying to wrap my head around, is why in the world do we need browsers in our cars? We have these little devices we carry in our pockets that can surf the web, retrieve emails, and read the news. They are called cell phones. And, besides, if we can’t use the web browser while driving, then what difference does it make if it take out my phone to quickly search something? Maybe I’m just ranting about this idea, but it still doesn’t make sense to me. I understand voice-to-text and Bluetooth, but I don’t think we need to browse the web while in our vehicles. Currently Volvo has the only “true” web browser in its system. Toyota and Lexus have a similar platform but it uses the search engine only to find GPS waypoints.